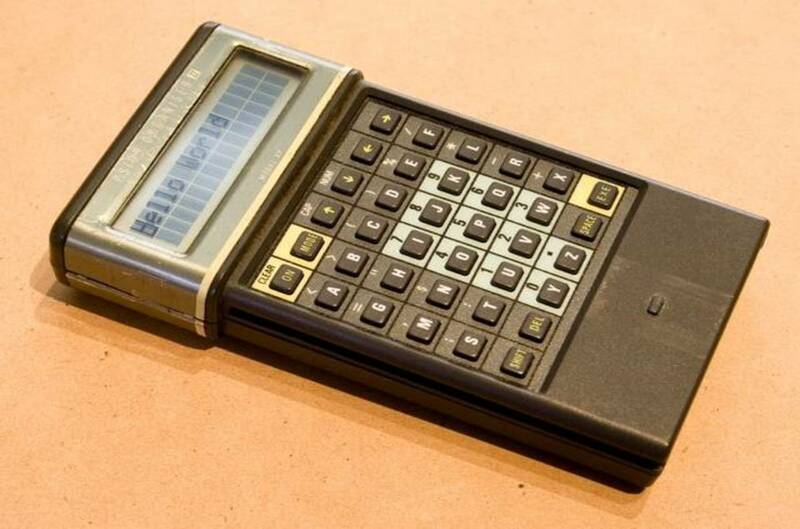 Did anyone else have a Psion? Just wondering if there was any overlap between the users of BeOS and Psion PDA owners (besides me)? I loved those units, and have been missing them badly since my last one died. The reason for my interest is that the format has been revived for the 21st Century, as the “Gemini” PDA. Now running Android, of course, (with a 10-core processor) but also dual-booting Linux. It comes in 2 versions – one with 4G and one with WiFi only. I just about fell over myself to preorder one from IndieGogo. (The cheaper WiFi model as I’m not a mobile user.) Don’t know if it will be a seller in the end, but there seems to be some enthusiasm. I have lots of psions and have ordered a Gemini too. I’m not really sure how well it is going to work with a capacitive touch screen and no trackpoint though, as I’m not convinced that Android is the right OS (doesn’t appeal to me at least) and Linux does not work well without a precise pointing device. But I still can’t wait to get my hands on it, hopefully some time in the next six weeks or so. Bringing the keyboard personal digital assistant into the 21st century. Type and create on the move! 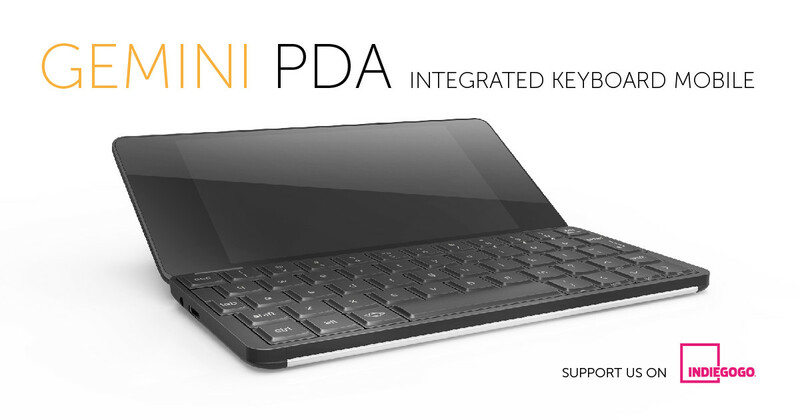 | Check out 'Gemini PDA Android & Linux keyboard mobile device' on Indiegogo. Glad I’m not alone in the forest! I suspect it’ll mostly be used in two modes: touch/swipe/pinch and so on, and typing in a text window. (Pretty much like the 5MX, where you either pulled out the stylus and played on the screen, or typed on the K/B.) They do say the TaskBar is controllable from the arrow keys, though, so there’s some synergy. I have to admit to never even having owned a tablet, so I’m new to Android. We’ll see how it feels. I’m wondering if the Linux mode is Terminal only; I don’t think I’ll mind, as I do a lot in Linux (Haiku too) in the Terminal. The linux install is debian and theyve shown it with, I think, xfce. It still isnt clear what the state of graphics and other drivers is under linux. I am using Android these days, but only made the switch from symbian (nokia e55) in the last year because of whatsapp of all things. I got very used to typing on the 5mx with the stylus resting between second and third fingers, shifting it to thumb and forefinger when needed. Of course all the keyboard shortcuts meant you didnt need to use the screen all that much. As many have said, the gemini probably needs some custom software, lets hope that “if they build it, they will come!”… choice of SoC aside the hardware is looking perfect, cant wait! I had a 5MX and later a Revo. Lovely little machines, though they tended to wear out a little too quickly. And EPOC remains a very fond memory. My problem always was, once you’ve typed your data IN, how do you get it OUT again? Connectivity was a black art in those days. Of course that was solved when I got the Nokia Communicator. A 9210, I think it was. I won’t be ordering this one, though. 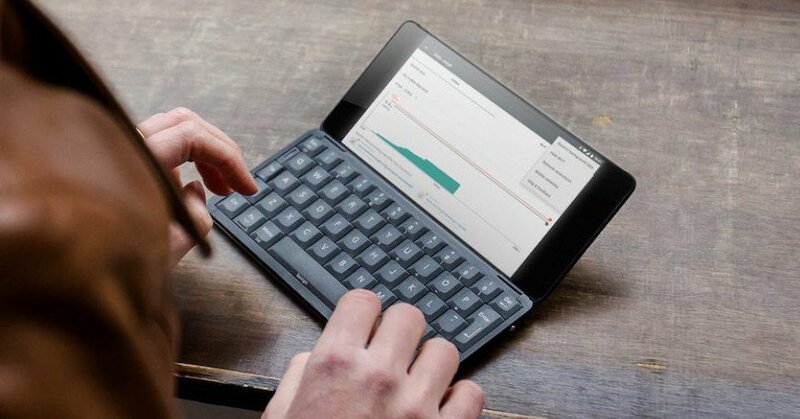 $399 is a bit steep for nostalgia, and you can always get an iPad mini and stick it in a keyboard case. Can’t do any really work on an ipad, or an android device. At least not my work. 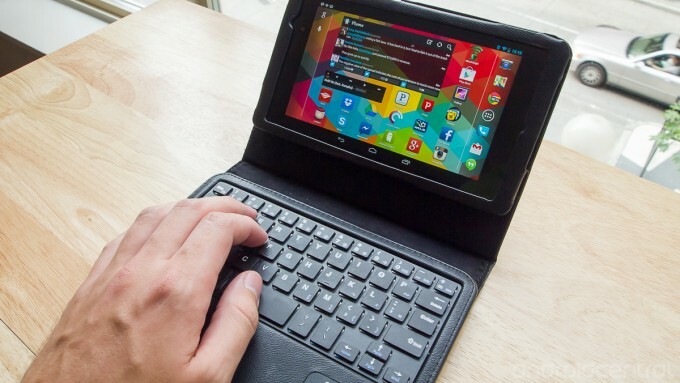 And the form factor of a tablet with a keyboard is a truly monstrous thing compared to a device like a psion. The price really isn’t that different to what a psion would have cost in 1999 if you consider inflation, and $399 is very good for the hardware, and less than an ipad mini will set you back currently (at least in the UK, cheapest I can see in a quick google is £319 ~= $440). With the psion, compact flash always seemed to be the easiest way to get things out of it, but synchronisation wasn’t an issue in those days, e.g. your agenda just lived in the device. Linux has a fairly good set of conversion tools (psiconv), and there were also some on the psion itself, including a small utility that allowed import/export of agenda calendars as ics. I think that Gemini PDA is too small. It hits a sweet spot in keyboard size, pocketability, and power (it runs a full debian install). 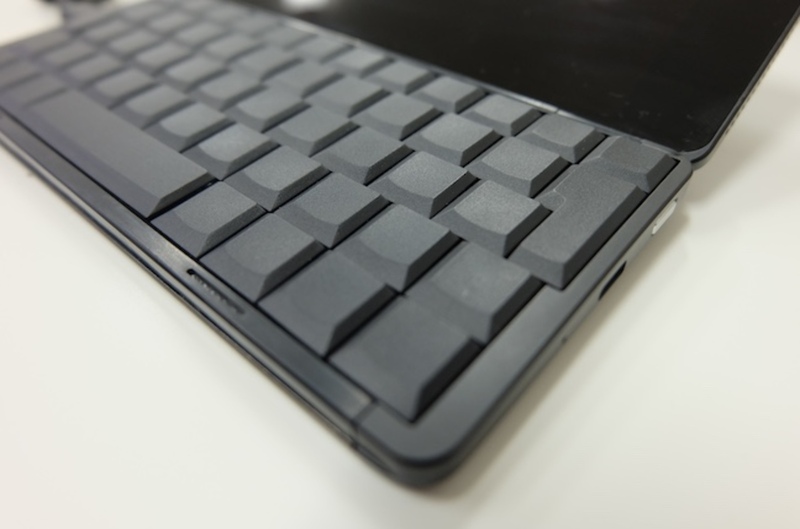 The tablet keyboard pictured is not much bigger than the gemini’s, but the whole device is huge and can only stand up properly on a desk with a stand… if you pick it up by the keyboard the tablet will flop about everywhere. Android/iOS can only do a fraction of what you can do with a debian machine. I guess gemini is a niche product, it’s not for everyone but for some people it fills a void that’s been around since the demise of psion 15+ years ago. My problem always was, once you’ve typed your data IN, how do you get it OUT again? You did know about my “PsionTrack”, and Michael Pieper’s “PalmBeach” on BeOS, I hope? They at least allowed you to copy files between Psion and BeOS. It’s an interesting account of the history of pocket PCs – a lot of which I didn’t know. His last few paragraphs seem to be a preannouncement of the Gemini! I remember the apps. I don’t remember them working for me, sorry. Some serial port misconfiguration problem IIRC but it’s been a long time. Anyway, if this one runs the linux dropbox client that will be a thing of the past. So, who is going to try and port Haiku onto this little gadget? It gives you ten processor cores to play with! would you believe you can still buy the original? They are not new but refurbed. I also used to repair and sell 5mxs, but the price of even spares/repairs units are so expensive now it doesn’t pay for itself any more. I never used a PSION (back in the day I was a Palm guy, as an used m515 was all I could afford), so I have no emotional appeal for the Gemini PDA. So, with that in mind (and I think I’m about to say an heresy), doesn’t this thing make more sense? All in all I think it can run Haiku or any other x86/x64 OS. It’s cool, but I dont think it will fit in most pockets (ironically), and why did they put the trackpoint in an unusable place? Yeah it’s just larger enough that I don’t think it would suit me. The 5MX/Gemini form factor either slips easily into a jacket pocket (on the almost nonexistent occasion when I’d wear one!) or into a hard case that hangs from my belt. I can’t see myself pulling out a GPD to check my shopping list in a store, which is one of the simple things I’d use my Psion for. I’ll be interested to find out how much e.g. programming I’ll actually do on the Gemini in the Coffee Shop! I did not have a Psion, but I had a CLIÉ and loved it. I would like to see PalmOS re-emerge as a sister OS to Haiku for mobile devices. I was a Palm OS user. This was a system that “got it” in terms of usability. I knew a few other BeOS fans who also loved Palm OS, such as Michael Phipps. I still have a Tapwave Zodiac, but i don’t use it for much at all since i got an iPhone. I mostly play Acid Solitaire on it in bed, since i don’t like any of the solitaire apps for iOS. It was a great PDA, up until iPhone. i was (and i am) a newton os user but i can remember my palm treo and a handspring »palm« pda, too.